News about cloud based music streaming service Grooveshark broke late Wednesday and continued into the morning – Google pulled the Grooveshark smartphone application from the Android App Store. As Greg Sandoval reports, the news itself is traveling to Washington DC with Google’s General Counsel Kent Walker, who testified this week before a congressional subcommittee with regard to trafficking of pirated material. The decision by Google to yank Grooveshark’s application from the Android store also comes just days after photos of Google’s Music application leaked online. Grooveshark is a streaming music service providing music consumers a mix of licensed content and user sourced content with mobile access and on the go functionality. Not unlike Spotify, who has not yet launched stateside, Grooveshark is free with ads, users can pay for ad-free services, playlists are a major feature, the music is in the cloud, and users can take it with them on the go. Grooveshark launched in 2006 in a completely different climate, where companies like Project Playlist and Imeem were competing for the same user base after securing both licenses and venture funding at the same time. By October of 2009 Project Playlist was on the outs, Imeem was almost a memory, and Grooveshark launched a redesign – with just one deal in place (EMI), undisclosed angels, and one million registered users with untold countless others that were not registered, but using the service. Today, Grooveshark has multiple deals in place including Merlin, IRIS Distribution and many others; the rest of the content is still sourced from their users. 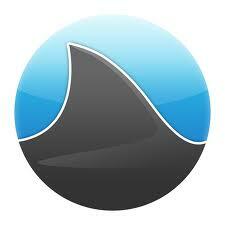 Users can, and do, upload content into Grooveshark in large numbers. Their library is arguably more interesting than other libraries, since the amount of content that comes from active music lovers who take the time to upload makes it possible to search for and find something on Grooveshark that is likely impossible to find anywhere else, except possibly on YouTube. Look… there are no real emergencies in the music business. Grooveshark is alive and well. “There is no killswitch that we know of right know,” Ford told me by phone. Indeed, a quick search on my smartphone revealed that an Android or iPhone owner can simply visit http://m.grooveshark.com for a mobile version of the service and access to the application. But while there are no emergencies in music, there can be losers. Ford maintains that the biggest losers at the moment “are the potential customers who were going to subscribe, which is revenue lost to copyright owners and our label partners” who all get a percentage of revenue every time a user subscribes to Grooveshark. As a user-sourced service, like YouTube, Grooveshark complies speedily with all DMCA [Digital Millenium Copyright Act] requests to make sure that we operate within the law and respect the wishes of content owners. Unlike Apple’s iPhone ecosystem, Android is an open platform, and Google is traditionally a supporter of DMCA-compliant services-indeed, Google itself relies on the DMCA for the very same protection that Grooveshark does. And, like YouTube back in 2005, Grooveshark users are rabid. Quick searches on twitter, eliminating the news about Google, reveals a tweet about music on grooveshark every 10-60 seconds during a basic sampling over a 60 minute period of time. Ford was happiest during our conversation when I brought up Grooveshark users, because they play an essential role in the product in more ways than simply uploading content. Grooveshark works night and day to develop new successes in the music industry, as well as pay the many content partners with whom we work. The current unavailability of our app is taking money from the thousands of hard-working labels, artists, and content partners who benefit from a share of Grooveshark’s mobile subscription revenue. We look forward to working with Google to get our app reinstated.